Environmentalists working with the Sierra Club’s Florida Panther campaign won a year-long battle Friday to stop oil drilling in southwest Florida after a Texas-based oil drilling company announced it will terminate its lease holdings on 115,000 acres. The fight began in April 2013 when the Dan Hughes oil company mailed a letter informing residents of a Naples suburb they were living in a "hydrogen sulfide evacuation zone" for an exploratory well. The well, which would be 1,000 feet from residences and less than one mile from the Florida Panther National Wildlife Refuge, sparked public protests, meetings with elected officials, and hearings to assess the environmental impacts from the company’s oil wells in the western Everglades. The county was so concerned about the impacts it challenged a consent order between the drilling company and the state. The tide turned several weeks ago when the Florida Department of Environmental Protection (DEP), which had supported drilling, issued a press release that the driller had used illegal extraction techniques that mirrored fracking. Senator Bill Nelson has also been keeping a close eye on the drilling developments in southwest Florida. "We've spent billions of dollars to restore the Everglades... I want to make sure what goes on does not mess that up," Nelson said at a press conference with Sierra Club and others on Monday. 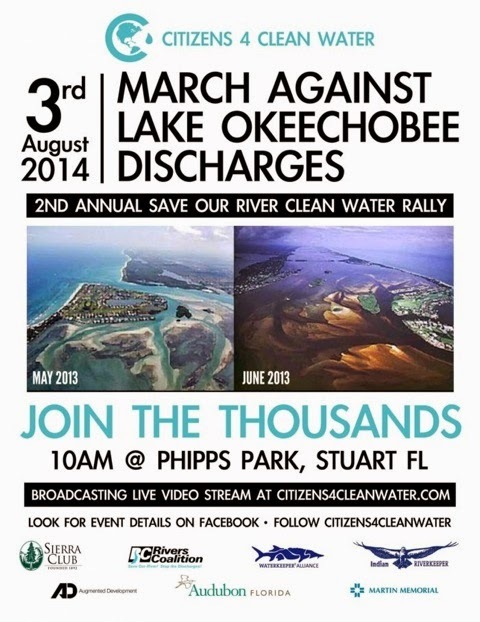 Nelson has expressed concerns over public safety, water quality, and impacts to Everglades restoration. On Tuesday, the oil company announced it was stopping work on another well in the area minutes before the Florida DEP announced it would file suit. This is a great victory for all the dedicated activists and citizens of southwest Florida. While we have won this battle, the war on oil drilling is far from over. Two other companies, Tocala and Burnett, are proposing to do seismic testing (a precursor to exploratory drilling) on over 200,000 acres in the Big Cypress area. With millions of dollars invested in the restoration of the Everglades, these companies pose a salient threat that could undermine the efforts of so many to protect one of the most unique ecosystems in the world.